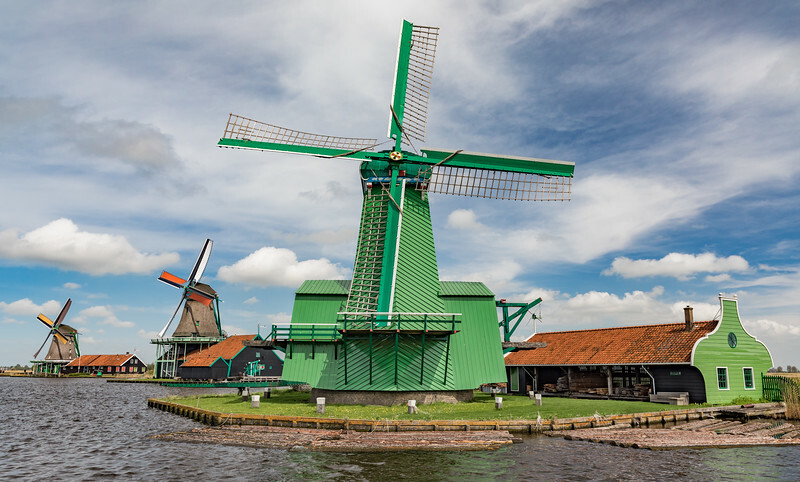 During the 18th and 19th centuries, more than 600 windmills adorned the Zaan river region. Utilizing the recent invention of the crankshaft, windmills were used for a variety of industrial purposes including cutting lumber for ship building, crushing materials for paints and dyes, and grinding of flour, cocoa powder, and fibers. Today, a small village exists with a collection of authentic period structures allowing visitors to explore the mills and other industries of the time.